The X Factor 2015 [S12] Series 12 of ITV's music reality show, The X Factor with judges Simon, Rita Ora, Cheryl and Nick Grimshaw ran from August to December 2015 and was won by Louisa Johnson. Charles & Eddie's 'Would I Lie to You', as well as Amy Winehouse's 'Love Is a Losing Game'. 'The Power of Love' by Frankie Goes to Hollywood (Gabrielle Aplin version), and 'It's a Man's Man's Man's World' by James Brown*(Christina Aguilera version). 'Runnin'' by Naughty Boy and Beyoncé, and 'Best of My Love' by The Emotions (Ella Eyre version). R City and Adam Levine's 'Locked Away', with the second song a mashup of I Got A Feeling/I Like To Move It by Black Eyed Peas and Reel 2 Reel. Last edited by Adam. ; 04-12-2015 at 02:23 PM. aren't most of these the ones that didn't get voted last week? R City and Adam Levine's 'Locked Away', with the second song TBA. 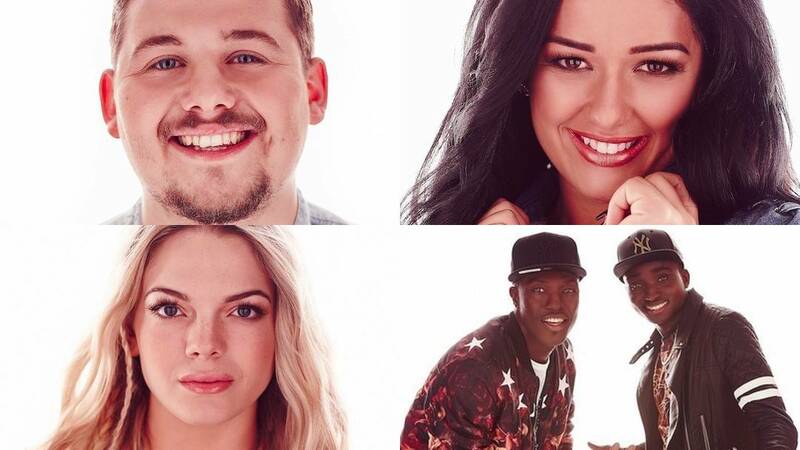 The most interesting song choices on the night so as Louisa has become Miss Immunity as my Brother likes to call her, that means that Lauren and Reggie n Bollie will be the bottom two for having interesting song choices, and whoever does the better sing-off will go home. Thank Benjamin for that, it's made her better in my eyes compared to the awful Chouisa duo. We were robbed of a worthy final in week 2 when the public got rid of Seann ty.